I’ve put together the list of Gene/Genome/DNA editing business below. I’ve listed companies who seem to be primarily service or research apps businesses below the main list, however the distinction isn’t always clear as they may have some novel technology as well as. These are all the editing companies I’m aware of. If you know of any more, or have any corrections for the list, let me know! There’s very little public information about QuantumSi. Sequencing isn’t mentioned on the company website . QuantumSi is part of the 4Catalyzer group of companies, founded by Johnathan Rothberg. 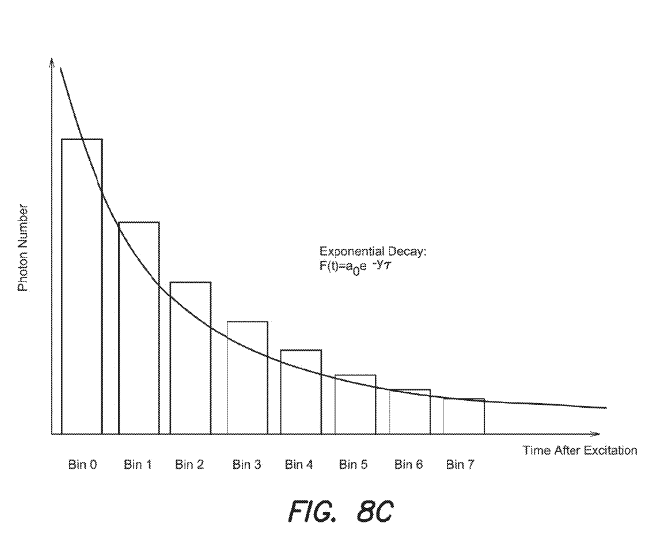 Rothberg of course, previously founded sequencing companies 454 Life Sciences, and Ion Torrent. QuantumSi’s patents mostly list Rothberg as an inventor and are largely DNA sequencing related. QuantumSi and PacBio approaches from  and . In this approach a polymerase is tethered to the bottom of a nanoscale well (ZMW). The well is illuminated, however because the well is smaller than the illumination wavelength the photons can not fully enter the well. Instead, you get an evanescent field confined within a few nanometers of the surface. This is not unlike TIRF microscopy, which similarly confines illumination to within a few nanometers of a surface (and is used in Illumina sequencing ). To sequence a strand of DNA the polymerase incorporates fluorescently labeled nucleotides. There are no terminators so nucleotides are incorporated in real time. During incorporation the fluoresces are cleaved and released. This results in a brief “flash” as the label is excited under the evanescent field. Integrating a fresnel lens onto a semiconductor device seems really neat. However I suspect this makes for a significantly non-standard (and more expensive) fabrication process. 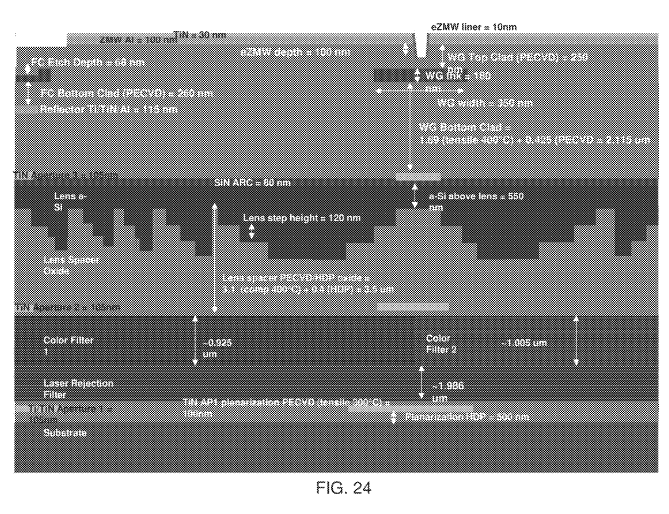 I guess these may be standard fluorophores, but I’ve not dug into the patents to find out exactly what’s being used. 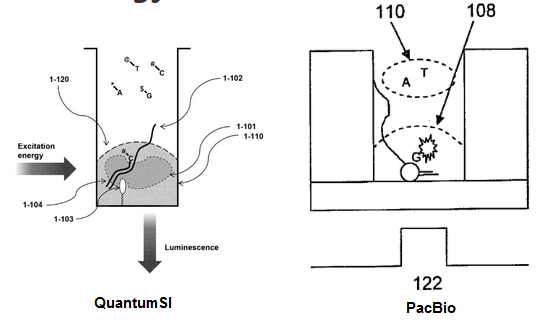 While the patent mentions excitation “intensity” I’d assume that the photosensor responds with differing intensity to different wavelengths, so it could just be this that results in differing intensity between the fluorophores. The rate of fluorescent delay, provides a secondary signal to help distinguish between label types. 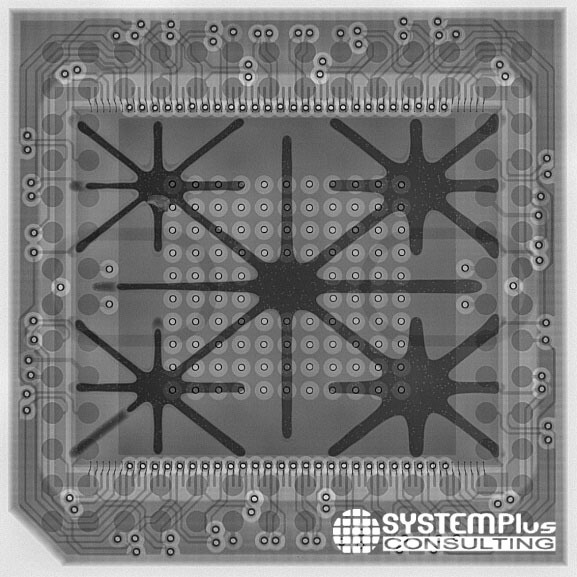 This approach most likely results in a cheaper chip, that can be more easily manufactured using a standard manufacturing process (as no lens or filters are required). 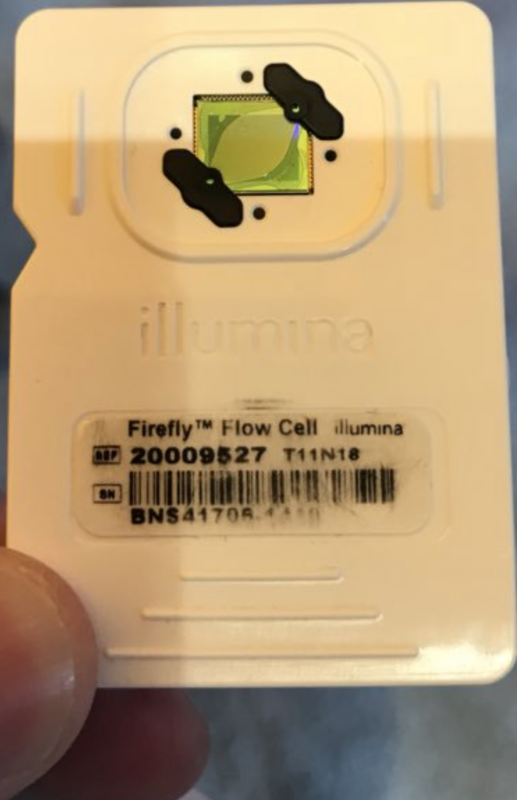 Given Illumina’s recent acquisition of Pacific Biosciences the potential for a low cost competitor to PacBio using a similar approach is interesting. I’ll be keeping an eye on QuantumSi, Rothberg has a track record of executing well, and I suspect we will hear more in the not too distant future. As we’re heading toward the end of 2018, I thought it might be interesting to put together a list of DNA sequencing companies that have raised in 2018. I’m aware of 14 companies that either raised or were acquired this year. Excluding acquisitions this totaled 368MUSD of investment. Base4 Innovation Ltd, 6.5M USD, info. 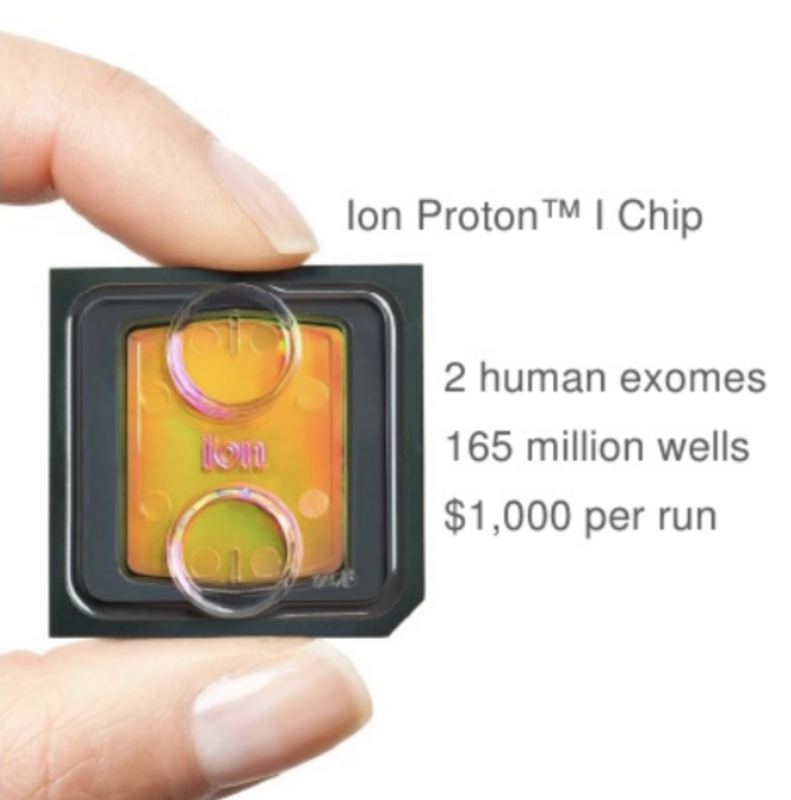 Recently I’ve been thinking about the economics of semiconductor sequencing, in particular approaches like Ion torrents, and the iSeq which use a relatively large die which gets thrown away with the rest of the flow cell. 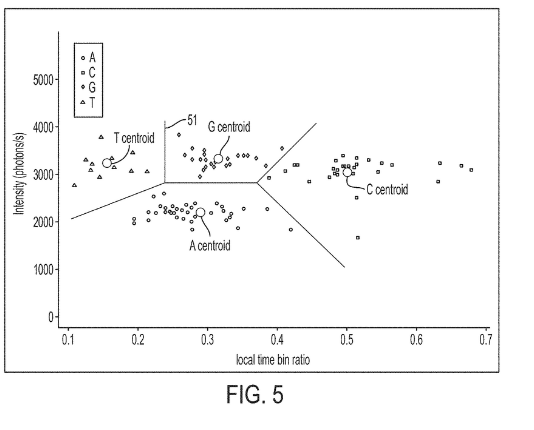 In this post, I’m using to review aspects of Ion Torrents development, I don’t cover the technological approach (which is well described in their Nature paper ). Ion torrent was founded in 2007 by Jonathan Rothberg (no doubt building on his prior success with 454). They raised approximately 60MUSD in funding (from Bay City Capital among others). Ion torrent was acquired only three years after it was founded in 2010. Life Technologies initially paid 375MUSD with potential for another 350MUSD in milestone payments. Milestone payments were paid in 2012 , making the final acquisition price 725MUSD. It’s surprising how soon acquisition came after funding, both rounds which happened less than a year before acquisition. Given the platforms reliance on semiconductor fabrication, this doesn’t seem like enough time to get much done (iterate over a new chip for example). I therefore assume that prior to the rounds listed there was probably some seed funding, perhaps supplied by Rothberg himself. I’d also guess that the investment rounds were at a valuation of 100 to 200MUSD. So the exit was at x4 the last round price. Given how quickly the exit came, this seems pretty good. Ion torrents market share is something like 10%. Their niche is a relatively cheap benchtop instrument aimed at small labs. They’ve also developed a number of diagnostic applications around the device. The Ion Proton uses a chip with a ~20mm square die. Based on my estimates this probably costs at least 200USD to fabricate. Given that runs cost 1000USD, I’d guess their margins are lower than Illumina’s, probably 50 to 60% on consumables? (compared to 90% for Illumina). 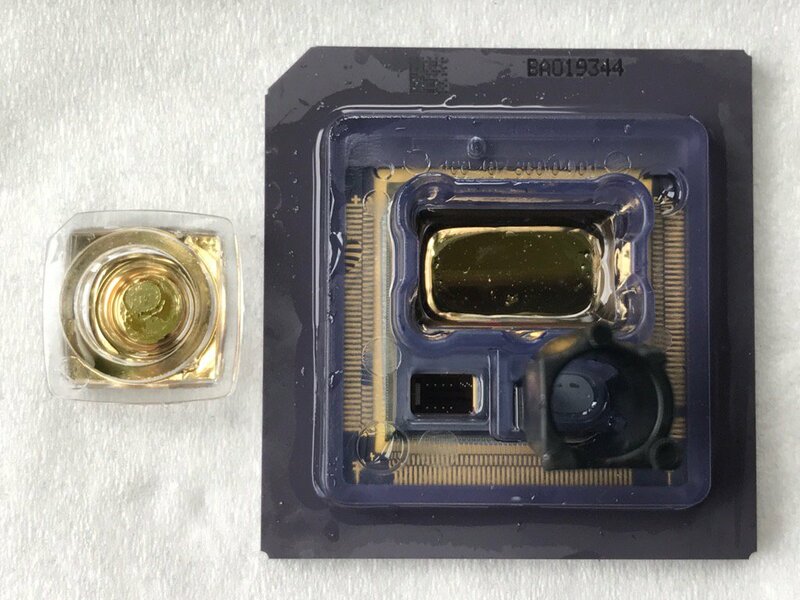 The ion torrent 318 chip is smaller ~1cm^2. At minimum I’d guess this costs 50USD. The kit here sells for 625USD. It’s therefore possible margins are better here. 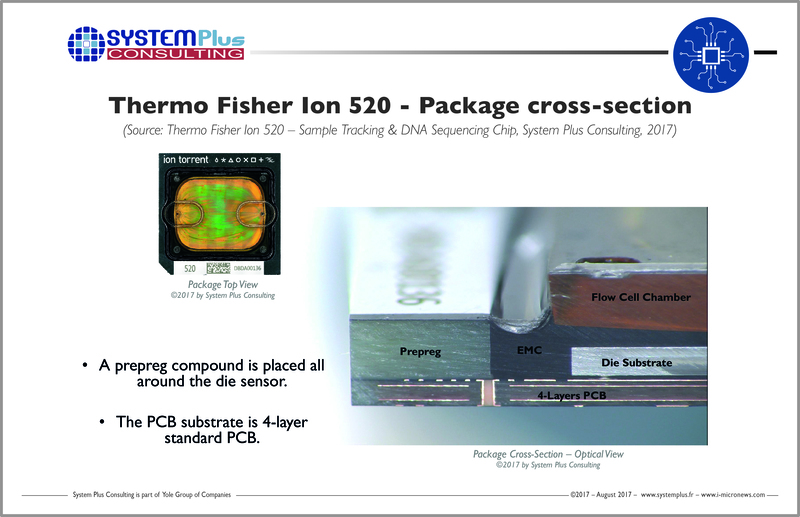 It’s also interesting to compare the 318 chip to the iSeq (illumina’s new instrument). They both have similar throughput. The runs both cost 625USD. The iSeq die looks smaller however, which may allow higher margins on the iSeq. 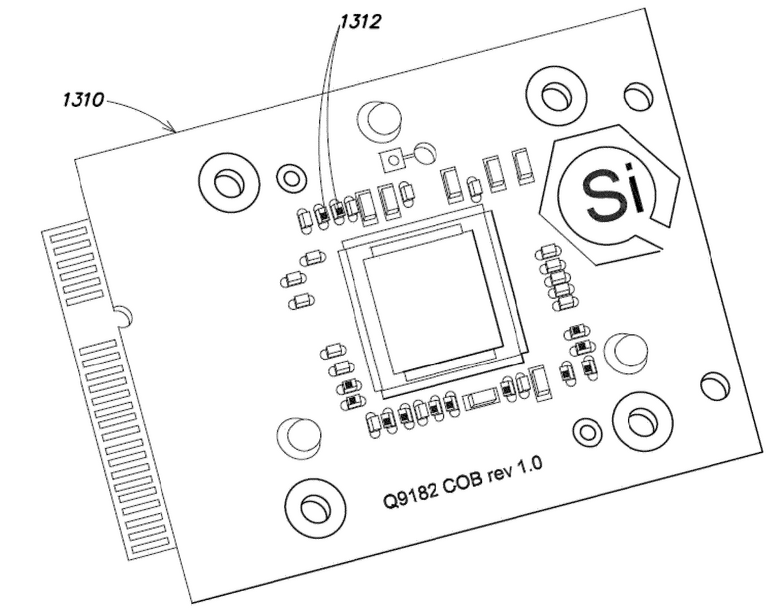 I’d also guess that the iSeq uses a standard CMOS image sensor, not developed exclusively for Illumina. This most likely reduced development costs, and means that Illumina can take advantage of a more robust supply chain, and economies of scale that come with a commodity part. In short, it feels like Illumina maybe able to squeeze Ion torrent a little more with the iSeq, given their costs are probably lower.